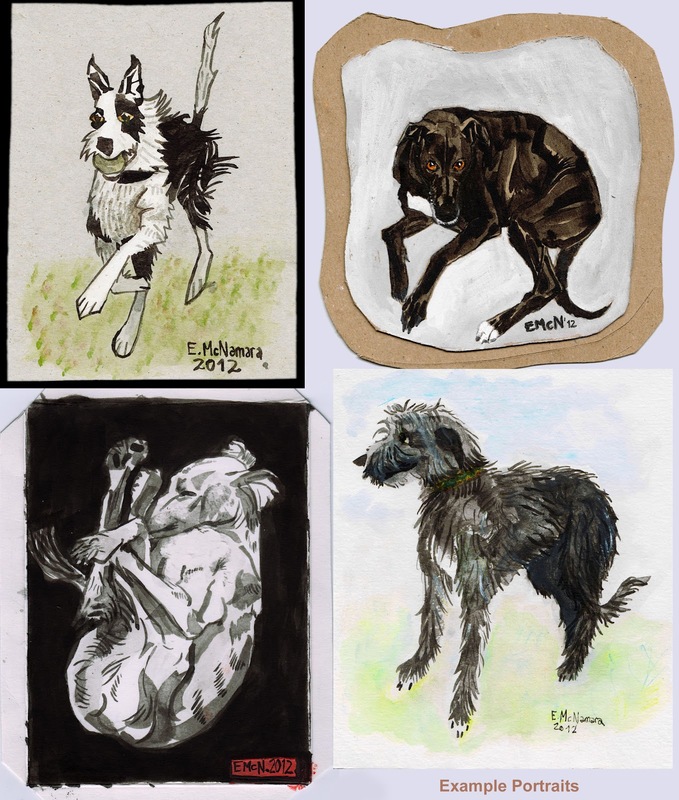 I'm taking commissions based on a photo/photos of your chosen pet, which I'll be drawing up and painting on cardboard (~ 150mm x 150mm). Pictured are some example portraits, to help give an idea of what to expect. They ain't no masterpieces but I really just wanna see all you guys' pets, and need to get stuck back into drawing again before I forget how. It's €15 a portrait, but I can do combo deals if you'd like more than one, and I ship internationally for €3. Each additional item has free shipping. Contact me at eimhinmcnamar(at)gmail(dot)com if interested. A quick sketch that went out complimentary with a print order from my shop. 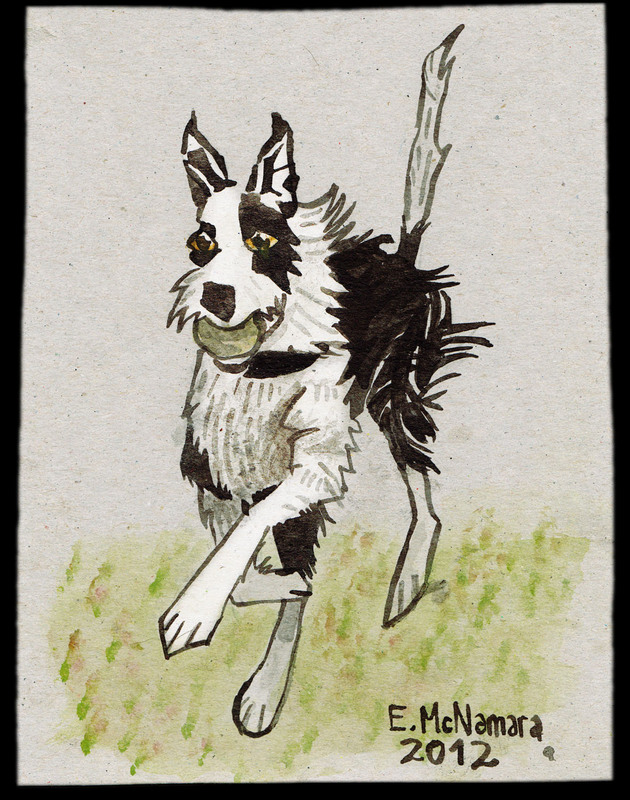 We met this collie/lurcher at the park during the week. Lucy was adopted from the DSPCA about 10 months ago.